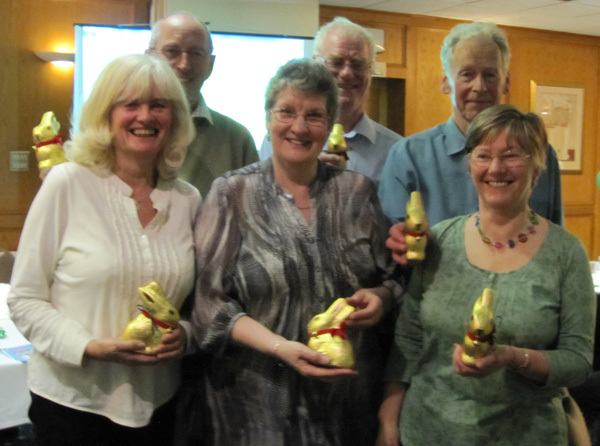 The winners of the Alton Lions St Patrick’s Day Quiz held in the Spencer Room at the Alton House Hotel were of course the ‘Shannons’ who fared best in the Irish Section. 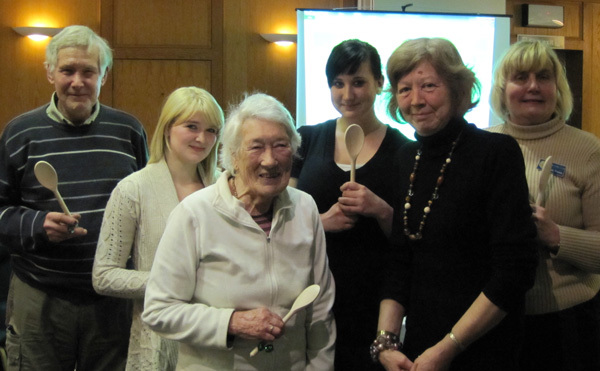 The winners of the Wooden Spoons were the ‘Could Be’s’ (Could be right or could be wrong) from Four Marks. All the proceeds are being donated to the Extended Services for the new Wootey’s Family Centre. The ‘Shannons’ are shown holding their Chocolate Irish Rabbits and the ‘Could Be’s’ with their wooden spoons.